I love the variety in my work – from the subject matter I get to shoot, to the wonderful couples I get to celebrate with at weddings, to the talented artists with which I get to create. I recently had a second opportunity to shoot with drummer/percussionist/songwriter Ryan Schiedermayer. Ryan is a member and co-leader of Streetlife, the award-winning Milwaukee Bucks house band, and he tours nationally and abroad with several other bands. We had originally worked together when I did some cover art and head shots for the band Solset in 2007. 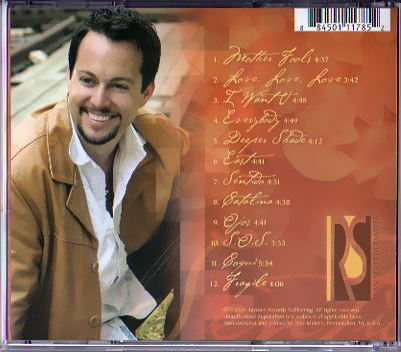 A couple of these images Ryan also used in the back exterior and interior disk case design for Sentido, a new album he co-wrote and co-produced. 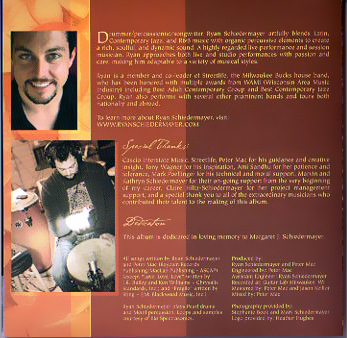 Ryan also performed with several talented musicians and vocalists to complete the album, a sound that blends Latin, Contemporary Jazz, and R&B music with organic percussive elements. Currently gearing up for the official release of this album, Ryan needed to update his library of head shots/portraits. With such an array of percussive instruments, we certainly were not at a loss for props to feature his variety. And with some lighting tweaks here and there, I think we were able to get a couple different looks while keeping the work consistent enough to create a bit of a style throughout. Below are a few selects from the shoot. Ryan, I’m looking forward to toasting your release. Excellent album. Congrats and best of luck! Hell yeah, Milwaukee represent 😉 Great shots! Hey Chris, Thanks for the comment on the mobile version! I have never known how well that translates.